If you turned up at a party or an event and spotted someone wearing the same outfit as you, would it bother you? I think it would make me want to go home and get changed (especially if they looked better in it than me!!) 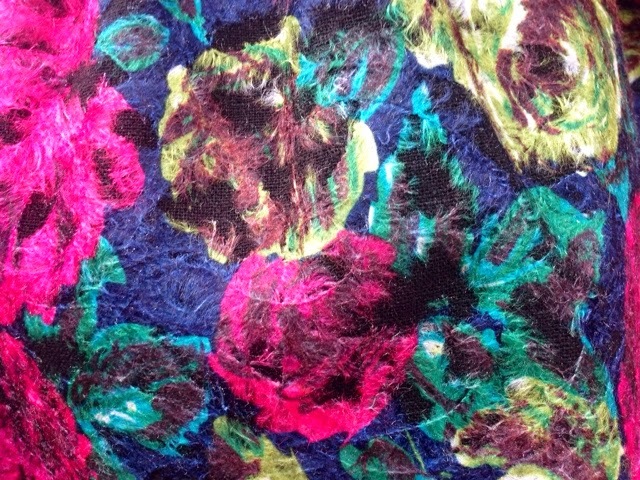 There's probably a good chance of it happening if everybody shops at the usual high street stores, and that's why I'm so glad to have been introduced to boutique clothing website, Fuschia White. Rather than offering the same styles that can be found everywhere else, Fuschia White concentrates on providing customers with something a little different, without breaking the bank or compromising on quality. The Manchester based boutique is run by sisters, Lubaina and Lamya Karimjee, and is already proving to be a hit with celebrities who have been spotted wearing the designs on the red carpet. 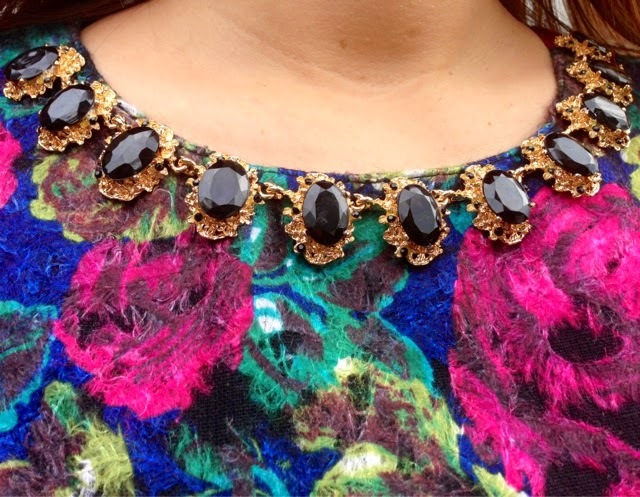 Whilst browsing the website I instantly fell in love with the Aria Jewelled Dress*. 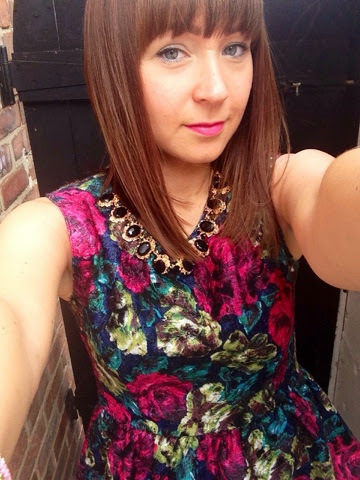 The colours and detail round the neckline just stood out straight away and I knew that this dress would make me stand out from the crowd whilst wearing it! It's perfect for a party or a night out on the town with the girls! The dress arrived beautifully packaged up and, upon opening it, I could tell the quality of the dress was of a really high standard. 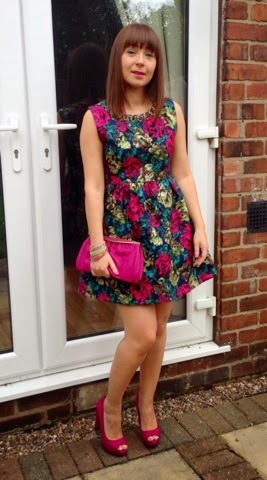 I teamed it with my pink heels from Next and clutch bag from Accessorize which I think are a really good match for this dress! I really recommend you check out fuschiawhite.co.uk if you're looking for an outfit and want something that little bit different. The prices are very reasonable and there are so many lovely items in the collection. What do you think of the Aria Jewelled Dress? 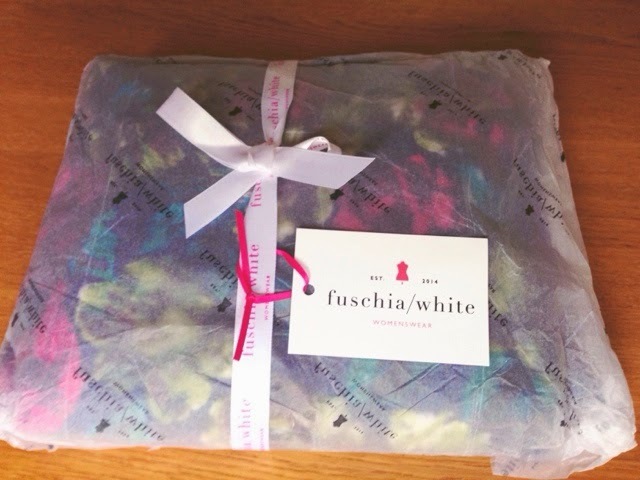 Have you ordered from Fuschia White before? Love that dress. The colours are amazing.